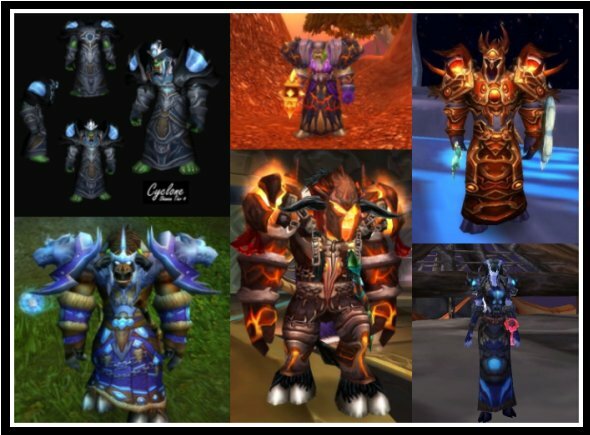 Why play a Resto Shaman in World of Warcraft? Home All Stories Why Play a Shaman? Lodur here again. A while ago I posted a question over at Plusheal as well as my guild forums and a few other places asking the Shaman community for a little input. Here’s the question I posed to them. I know my own reasons but I’ve been curious as to what drew other people to the class over the others. I’m happy to say I received a surfeit of information from many people. I would like to take a second here and thank the Shaman community as a whole for taking the time to respond to the question. There were many varied responses but they tended to fall within a certain range of categories. I’ll attempt to gather them here for you in a nice and tidy grouping. Tell me those are not unique and awesome! Everyone seemed to agree that the versatility of the class was a sticking point with them. They loved the ability to melt faces, heal a raid or smack things with large pointy sticks. Being able to switch between roles is definitely a draw for me as well. It’s nice being able to go from raiding and heal like a mad man and then afterward pop over and do some dailies throwing lightning and lava at things to get it done without having to switch gear or respec.Ã‚Â Even in a raid when healing is taken care of (or fights you can’t heal) it’s fun to be able to toss up a Flame Shock, throw some Lightning Bolts and then finish off with a nice Lava Burst crit (I’m looking at you Loatheb!) and not worry about gear or trinkets or what have you. The shaman may not be able to tank, but it’s still one of the more versatile classes you can play in Warcraft. Spirits exist and they play important roles both in individual lives and in human society. The shaman can communicate with the spirit world. Spirits can be good or evil. The shaman can treat sickness caused by evil spirits. The shaman can employ trance inducing techniques to incite visionary ecstasy and go on “vision quests”. The shaman’s spirit can leave the body to enter the supernatural world to search for answers. The shaman evokes animal images as spirit guides, omens, and message-bearers. Shamanism is based on the premise that the visible world is pervaded by invisible forces or spirits which affect the lives of the living. In contrast to organized religions like animism or animatism which are led by priests and which all members of a society practice, shamanism requires individualized knowledge and special abilities. Shaman operate outside established religions, and, traditionally, they operate alone, although some take on an apprentice. That’s pretty darn cool if you ask me.Ã‚Â If you look in game you can see that these ideals were pulled in for greats like Ner’zhul and Thrall as well as the quests we see throughout the game. In Warcraft, the Shaman has a rich history, and are an integral part in the stories and lore of Warcraft past and present. The Paladins may have their light, but I think I’ll ride the lightning instead. A lot of people love the “need” that people have for Shaman. In BC you could see guilds posting recruitment threads asking for Shamans. Shamans were treated well and people loved the fact that their guild and well, pretty much everyone wanted them in their raids and groups. It normally doesn’t take long for a Shaman to get scooped up into a raid from the Looking For Group or Trade chat. We may be more common now on the Alliance side, but our position and tricks are no less coveted. We are hot commodities still! What Needs to be Fixed? The second part of the question was asking people what needed to be fixed about the class, or what they thought could be improved.Ã‚Â There were two topics that kept coming up. First was the topic of streamlining totems. This was before the announcement of 3.1 and the patch notes, but people wanted to see totems re worked and streamlined. It’s nice to have a box full of tricks to pull from but managing them can become a hastle. Mods like Yata and Totem Timer make it easier,Ã‚Â but it’s still a daunting task, especially in the middle of a hectic boss fight. When Wrath was coming we saw the beginnings of the process to remedy this. They announced that Stength of Earth totem would combine with Grace of Air totem meaning you only had to drop one to get the effect for both. This was a huge boon to us shamans and I know more then one of us rejoiced. The trend is continuing here with the combining of cleansing totem putting together Disease Cleansing and Poison Cleansing into one glorious totem. Whether this will stay or not is another thing but right now it’s very good. Second thing that kept coming up was PvP viability. Restoration Shaman have always been the resilient “you can’t kill me” types in PvP situations. Give a resto Shaman some resilience and talents like Nature’s Guardian with a sprinkle of Earth Shield and just watch them go! The other two trees though suffer from glass cannon syndrome. They can hit hard up front but have a hard time taking a hit. Some talents though are being reworked to help keep all talent trees viable in PvP. Looking at items like Astral Shift and Elemental Warding in the Elemental tree and Toughness in Enhancement being changed to add stamina instead of armor you can see they are trying. So now my question to those out there that play the Shaman. Why do you play the Shaman? Until next time, Happy Healing! Lodur is the right hand shaman to Matticus on World of Matticus, and a recruiting officer of Conquest and Co-Host of For the Lore podcast. 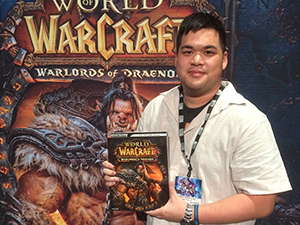 Read more of his works at WoW Insider. Thanks Lodur! Another insightful article on a healing class I have yet to enjoy, but look forward to in the future. Until then, I’ll keep tossing a Circle of Healing in your direction. Also what’s up with Conquest? Have not heard anything about the guild for a while…maybe it’s because Matt is recovering his wrist? I went to my shaman after playing my druid ( as both resto and feral ). I was looking for a new play style and the totem, shock and weapon imbues made the class unique enough that it intrigued me. Resto from 68 to 80 ( only swapping to elemental for random 5 mans ) and I loved healing and having a unique non-group bound heal ( chain heal ). The changes to Wild Growth and Circle of Healing made Chain Heal feel a little less “unique” but I still loved the animation and the healing style of a shaman. I still love my shaman, even if I don’t have the time to play like I used to. Thanks for the enlightening post, Lodur. I haven’t managed to get a shaman even as far as level 20 (mostly, I think, because I reflexively spec into Restoration and haven’t put the effort into figuring out a leveling spec), so this is a great insight into how shaman healing and the shaman mindset work. DFitz: We’re still here. We’ve been quiet since the entire game’s been cleared out. It’s mostly just roster retooling and gearing for the time being. I play a shammy because I love the versatility of it. I am elemental and when raiding, since I am ranged dps I have great overview on the fights. I’m not as absorbed as the tank making sure that I keep on top of agro or as consumed as the healers making sure everyone stays up, so I can lay into the DPS, and react to emergency situations properly. I get to decide if the healers are getting overwhelmed and could use a clutch chain heal. I get to see how the pace of the DPS is running and when we should pop the bloodlust. Although the streamlining of totems makes me more sought after, I also liked determining which totems worked best in certain situations. Being a utility class may not put me up at the top of the dps charts in all situations, but I can honestly say I’ve saved more wipes than anyone else I’ve played with and it makes me feel empowered. The only thing I don’t like about my shaman is that stupid mail gear. All Tier gear looks like a spaceships. Give me some old school armor and I’ll shed one single big shaman tear of joy. I’m thinking somethinh in the line of big bear head as head piece. Other than that: best class. Totems. I love the huge utility that shaman bring with all their totems. Plus their style is pretty unique. Windfury/Chain Lightning and Chain Heal, all are different and look cool. Also, correct me if i’m wrong, but are shammies one of the least played classes? Lodurs last blog post..World of matticus? Why do I play a shaman? My main is a rogue. It’s well geared and does a good job, but what really drew me to the Shaman was the “need” you mentioned. I wanted to be a healing class but despised the idea of being a clothie (priest), really dislike the Tauren starting area (Druid), and didn’t like the Paladin class. That left shamans. A little research demonstrated how often people want shamans in raid. So I went with it. After 74 levels it is my favorite class to level (over the rogue and a 70 hunter I have, as well as many attempts at leveling mages, priests, etc.). I have ZERO downtime leveling as enhance. The other night in Zuldrak I got a little sloppy and pulled 4 or 5 mobs and kept getting more adds. I was eventually overrun and killed, but not before I killed no less than 10 mobs after popping cooldowns (bloodlust, shamanistic rage). It was the most fun I’ve ever had dying. I have a lot of fun healing (when I do it instances), love being able to toss a chain heal even when dps’ing to help out the tank healer. I think that there’s just so much to do that I very rarely find that it gets stale, or that I get burned out on it. It’s always a fresh experience. Once I hit 80, i will start healing full time and in the long term will probably wind up switching mains. Not going to lie, kinda feels weird reading this from someone that plays alliance, but I guess we all have our downsides! Also, Orcs and trolls (As a female, I love the female troll and all their lore) are the best races to play a shaman and not only because of the racials, but the whole story behind, since Trolls took the evil side of the dark shamanism to do good and benefit the Horde as whole. Come get da Voodoo , mon!